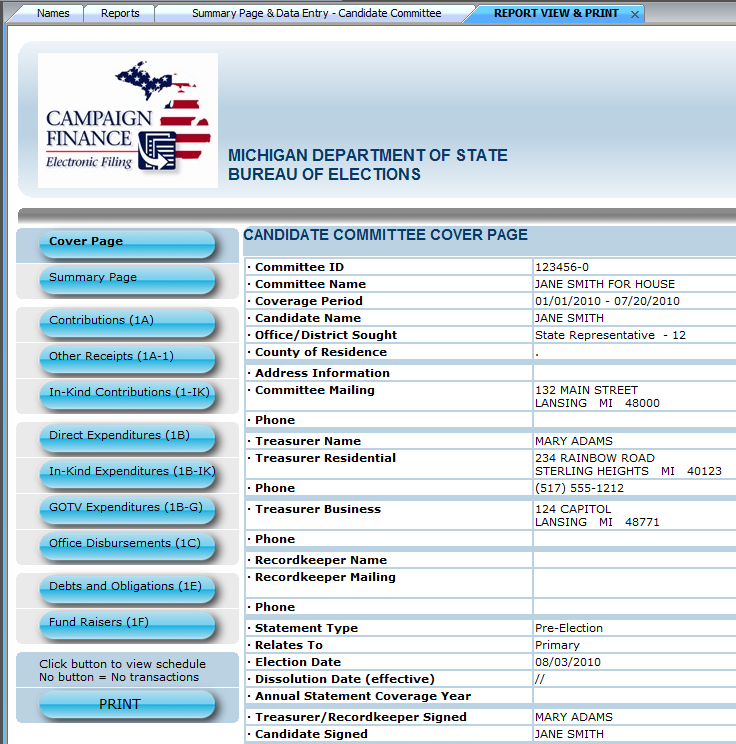 MERTS allows the report/campaign statement to be viewed and printed. The entire report/campaign statement may be printed or only specific schedule pages may be selected for printing. Select the Report View & Print icon on the toolbar or select the File menu and select the Report View & Print option. This will display the report/campaign statement selected in the Reports tab. To view the desired schedule page click the schedule name listed. To print the desired schedule(s) click a checkmark in the appropriate box and choose Print Selected Schedules on the bottom left corner of the page. 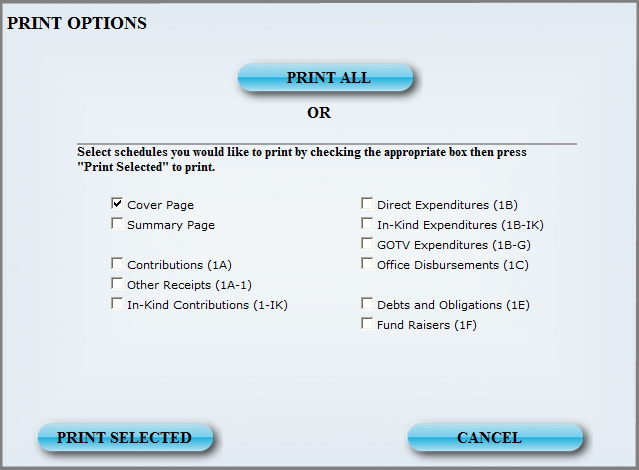 To print the entire report/campaign statement select ‘Print all schedules’.